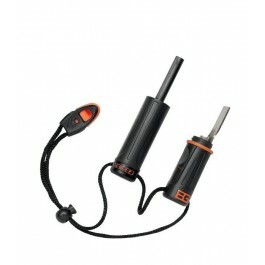 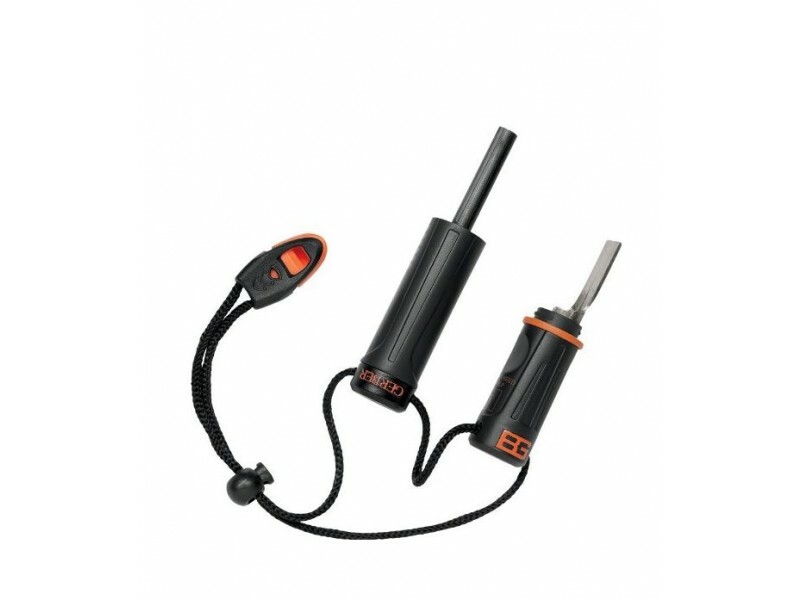 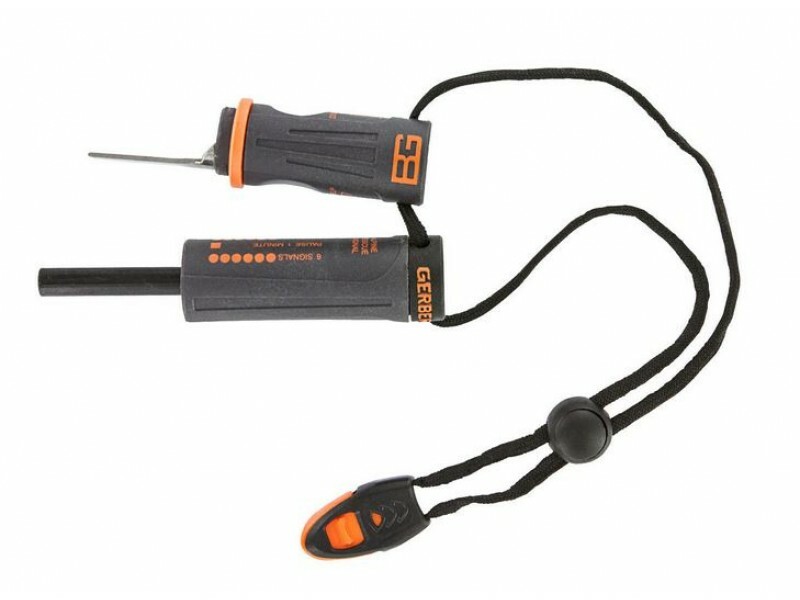 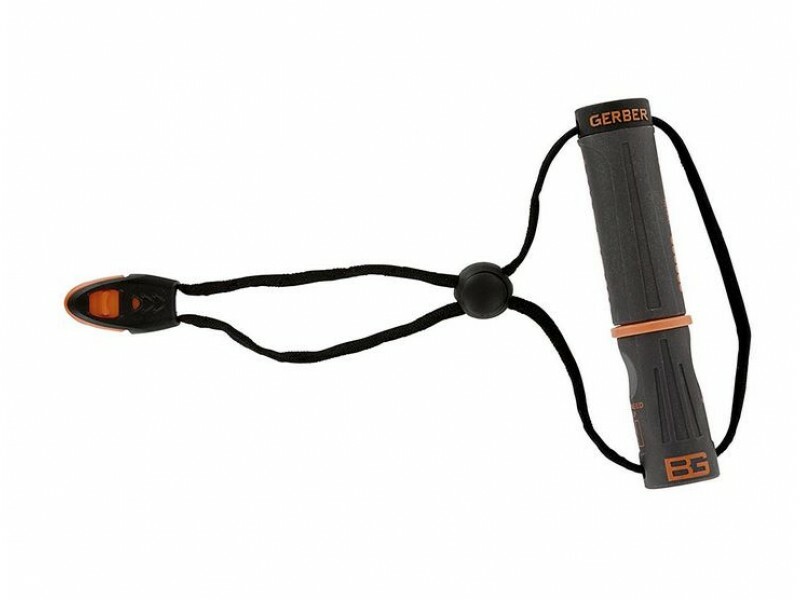 Gerber Bear Grylls Fire Starter is small and compact that will offers years of use. 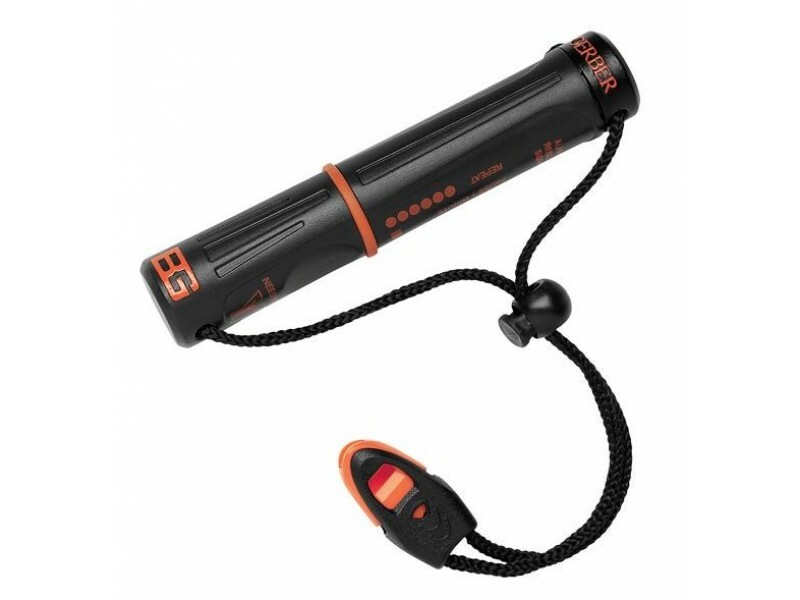 The watertight construction keeps tinder safe and dry, so when you need it, its available in the small compartment within the fire starter. 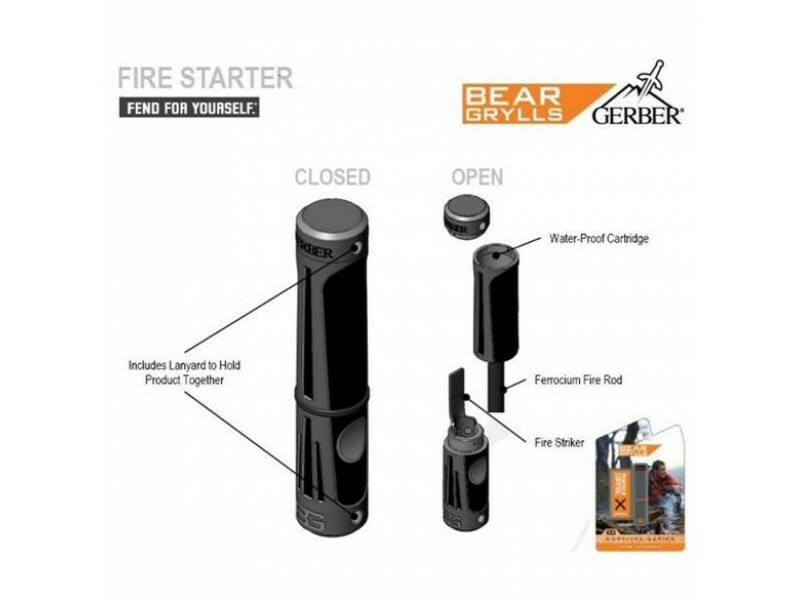 The fire starter comes with a Ferrocerium rod and metal striker, a lanyard to keep your striker secure and together, an emergency whistle that is integrated into the lanyard cord, and land to air rescue and SOS instructions. 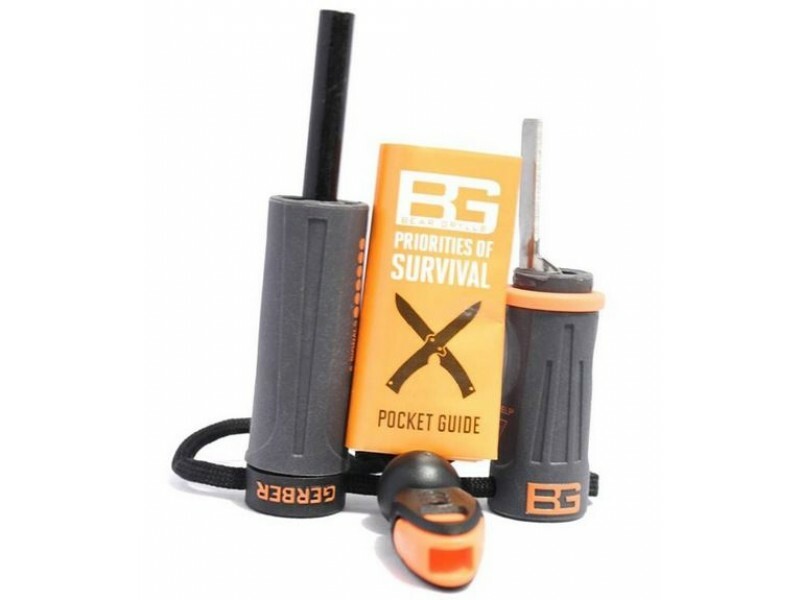 The Gerber Bear Grylls Fire Starter also includes a pocket guide that contains Bear's survival essentials.